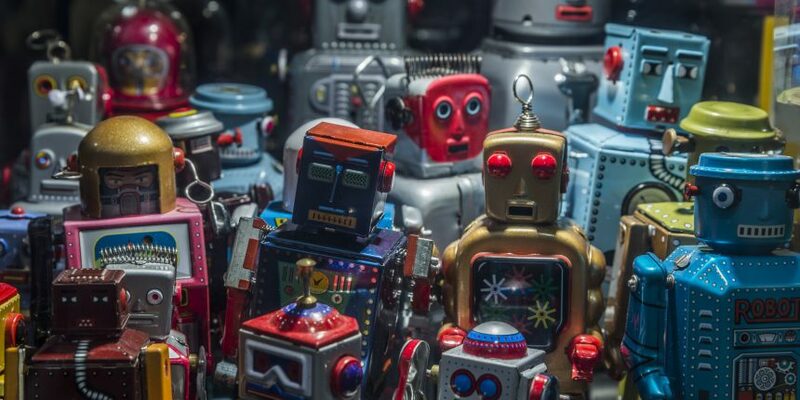 Two blockchain startups have good news for those tired of teaching AIs to recognize stops signs, announcing a new ethereum-based solution Wednesday that is aimed to tackle the current plague of automated bot nets on the internet. Anyone who uses the web is aware at some level that bots are a problem – that’s why we have to spend so much time proving our humanity. Increasingly, accessing a site involves checking a box, or more annoyingly, picking out blurry images that include certain objects like traffic signals and bikes (though this has the added benefit of teaching self-driving cars not to run into things). These captchas (short for “Completely Automated Public Turing test to tell Computers and Humans Apart”) are irksome from a user’s perspective, but the underlying problem is a severe headache for companies, who can never be sure how many impressions their ads are getting from humans, versus bots. In order to solve this problem, Datawallet has announced a new product, the “Bot or Not protocol,” to cut down on the prevalence of bots on ad networks. The company has developed the product in partnership with another startup, Enigma, which focuses on keeping data private in blockchain-based smart contracts. The two companies announced a partnership in August, to be coordinated with the launch of an initial version of Enigma’s “secret contracts” protocol on ethereum, which was initially scheduled for the end of the third quarter but has since been pushed back. Datawallet also has yet to launch its platform, but is targeting the fourth quarter, according to Engel. Still, the two companies are proceeding with a test of the Bot or Not service. Engel said they would “pilot this as a sandbox” for three or four months, with a “full rollout” coming as early as next spring. When it launches, Datawallet will offer what it calls a “self-sovereign wallet,” allowing users of digital services to own and monetize the data they generate using those services. Using ethereum – that is, according to the current plan – the protocol will allow entities to sell social media or music streaming data, for example, to a business such as an advertiser. The use of public-private key pairs, a cryptographic technique, will help to ensure a secure exchange. Cryptographic hashes of the data in question will be posted to the blockchain, at which point payment will be completed using Datawallet’s crypto tokens, which it sold in a $40 million ICO in February. Datawallet has explored applications for this protocol that include proving personal identity, said Engel, but the company found that a “lite version” of those solutions could be useful for simply proving that a user of a website or decentralized application is human. Enigma, which raised $45 million in an ICO last year, will contribute its privacy protocol to ensure that users don’t escape annoying captchas only to find themselves exposing personal data. Questions still remain to be answered regarding Bot or Not, including, Engel said, how to scale it (and the rest of Datawallet’s offering). “By the end of Q1 we’re looking to have roughly half a million monthly active users in the U.S.,” he told CoinDesk, adding that ethereum presented a significant “hurdle to adoption” because of the high costs of using the network and its limited throughput. “Ultimately we want to be chain-agnostic,” he said, with Enigma also aiming to apply its privacy protocol to a range of smart contract networks outside of just ethereum.